WAAW Foundation has been announced as a member of distinguished panel that will be reviewing nominations for the 2017 ‘Equals in Tech’ Awards. This was made known in a press release issued by the International Telecommunication Union ( ITU) News. 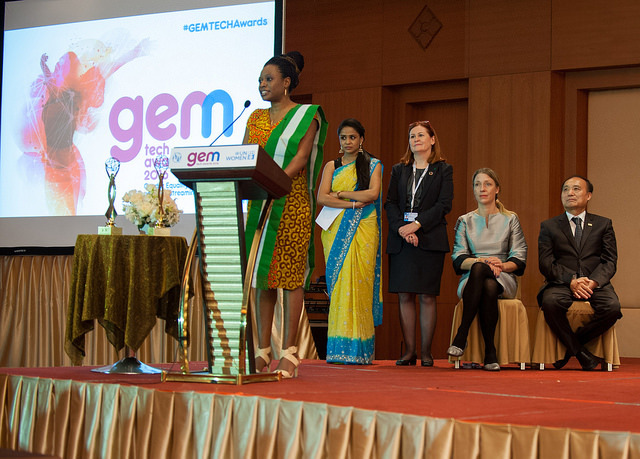 “The ‘Equals in Tech’ Awards (formerly the GEM-TECH Awards) is an annual initiative designed to promote gender equality and mainstreaming in technology. The awards are now part of Equals an ITU and UN Women global partnership to achieve gender equality in the digital age. In addition to supporting gender equality in the ICT field and advancing the role of women as ICT decision-makers, the awards also showcase how ICTs can be used to dramatically improve social, political and economic outcomes for women and girls,” the statement reads. Secretary-General for ITU, Houlin Zhao mentioned that the ‘Equals in Tech’ Awards is part of ITU’s commitment to gender equality. 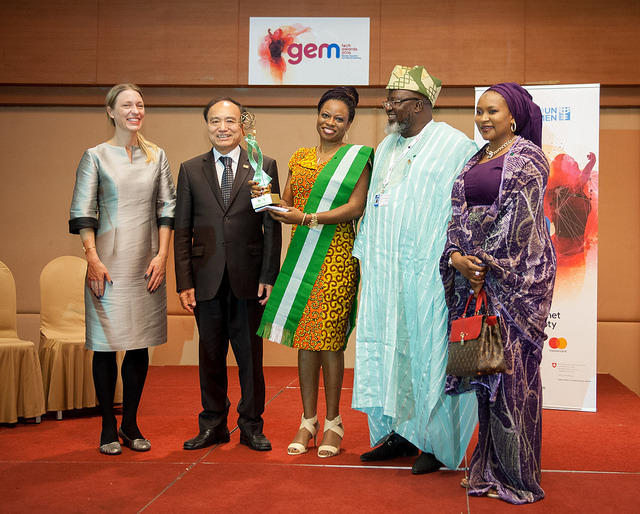 “These awards also serve to demonstrate how the capacity of ICTs can be leveraged to empower women,” Zhao noted. Similarly, UN Women Executive-Director, Phumzile Mlambo-Ngcuka, in her remarks, said, “Bridging the gender digital divide is a clear prerequisite if we want the 21st century to become the century of gender equality. Women and girls all over the world need equal rights and equal opportunities to shape the global knowledge society. Nominations for the ‘Equals in Tech’ Awards are being accepted through 15 September 2017, with submissions encouraged from around the globe. The nominated initiatives will be judged by a distinguished panel of partners and previous winners, recognized as Equals in Tech Awards Advisers. This group will also work together to share their best practices and to promote the call for nominations. Members include representatives of the British Computer Society Chartered Institute for IT, the StrongHer initiative, the Geena Davis Institute on Gender in Media, the World Wide Web Foundation, the Working to Advance STEM Education for African Women Foundation, and the Internet Society. Access: Develop gender responsive ICT governance, policy and access: initiatives focused on new legislation, policy frameworks or internal corporate strategy to improve women’s digital technology access, connectivity and security. Skills: Encourage women and girls to pursue education in STEM studies: initiatives encouraging more women in the STEM field (science, technology, engineering and math), focusing on the development of more relevant content, and addressing and overcoming cultural and social barriers that women face when entering a STEM education. Leadership: Promote women in the technology sector: initiatives that promote gender equality in ICT careers, especially initiatives where girls and women are cultivated as creators, developers, leaders and decision-makers. The prestigious ‘Equals in Tech’ Awards ceremony will held in Geneva, Switzerland, during the Internet Governance Forum taking place 18-21 December 2017. Final details will be communicated closer to the date.